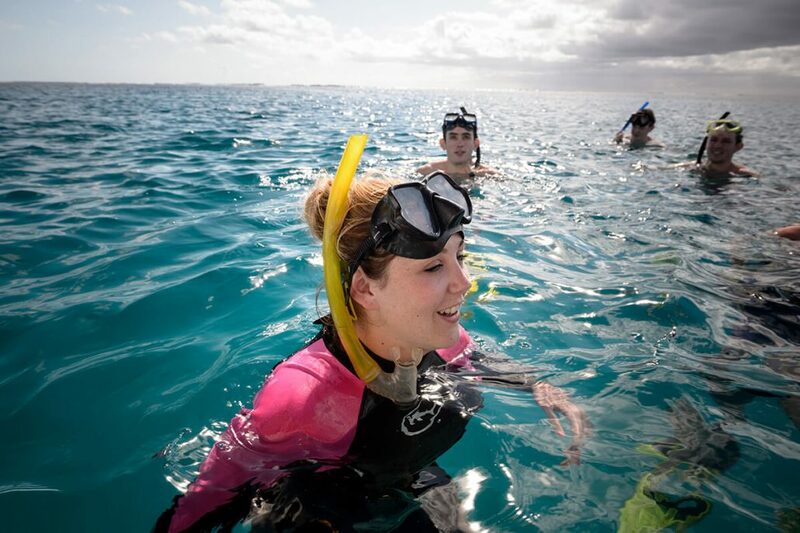 Snorkelling on the great barrier reef is something that will stay with you for a lifetime and is an amazing experience and included as part of our Lady Musgrave Experience Day Tour fully inclusive of premium quality Mares mask, snorkel and Fins. Wetsuits are available by request for the cooler months. Flotation vests and noodles are also available for those who just wish to float on the surface and let the fish come to them. A huge thank you to the very helpful and professional team at Lady Musgrave Experience..We had the perfect day with perfect weather. The whole day was very well organised, the boat was clean, safe and very comfortable with numerous seating areas and viewing decks. The food provided for morning tea, lunch and afternoon tea was delicious and plentiful. The guided tours were spectacular, from seeing whales, to viewing several species of corals, walking on the island, taking in the views, snorkeling or diving amongst turtles, coral, many fish species, octypus and much more my 6 year old son and I were blown away. The guides were very knowledgeable and always there to offer assistance. I would recommended this experience to anyone and everyone of all ages and ability. To actually visit one of the seven wonders of the world is incredible, we are so fortunate to be living in one of the best places in the world. If you live in Bundy or close by do yourself a favour and take a visit or if you’re from interstate overseas then fly into Bundaberg and take a trip it is well worth the adventure. To sum it up, a magnificent day, adventure and a Huge Thumbs Up to the team onboard LADY MUSGRAVE EXPERIENCE!!! thanks guys we will return again and recommend this to our family and friends. 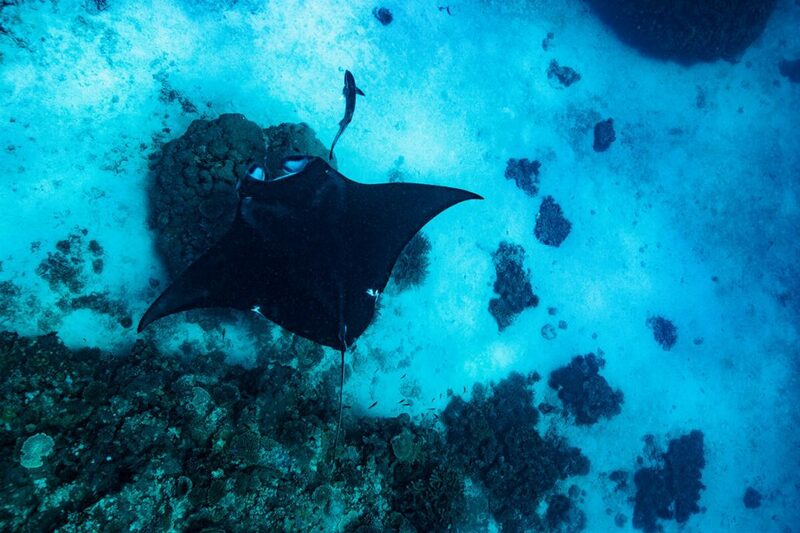 An experienced in water snorkel guide from the Lady Musgrave Experience dive team is present on every snorkel that will guide you through the tropical reef and available for any assistance and instruction. Your snorkelling experience in the beautiful pristine waters of Lady Musgrave Island Lagoon, offers great visibility all year around with an abundance of marine life all within the calm and protected waters. Start your snorkelling adventure directly off the custom built platform designed for easy access to and from the water. The average depth of the lagoon is 6-8 meters. The Lady Musgrave Island lagoon has a sandy bottom, scattered with isolated coral Bommie’s teaming with exotic fish and marine life. This makes the Lady Musgrave Experience a first choice holiday destination for so many Australians and international tourists wishing to experience the underwater world of the Southern Great Barrier Reef on one of our exclusive snorkelling tours inclusive of our Lady Musgrave Island Day Tours.